Anatol Lieven has an interesting piece up at the National Interest. 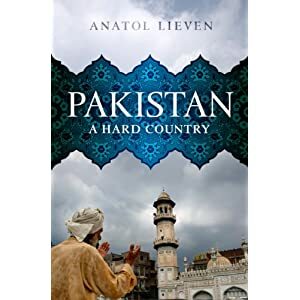 Lieven is an expert on Pakistan and on his last trip there conducted interviews with two low-level Taliban operatives in Pakistani custody. They revealed what is apparently a common strategy to appeal to potential new Taliban recruits. It’s notable that class tensions are almost never cited as part of the equation in driving of the Taliban. Also interesting are some of the other apparent motivations of militant forces in Pakistan and Afghanistan that Lieven cites in his forthcoming book Pakistan: A Hard Country. Our view is that suicide operations in Afghanistan and Iraq are halal [legitimate] because they help stop the aggressor from continuing his aggression. After all, US soldiers have traveled thousands of miles to kill innocent people. But such operations should not themselves kill civilians… And terrorist attacks should not take place in Pakistan. You have to understand, though, that the people who are doing this are doing it from frustration and revenge. It is like a younger brother whose brother has been killed and who runs amok, forgetting about the law. Americans should think and think again about their government’s policy. If you talk to us and try to understand us, you can win our hearts. But if you come to attack us you will never win our hearts and will also never conquer us, because we ar a very determined people. How much have you spent on this so-called war on terror? Trillions of dollars. If you had spent this on helping develop Pakistan and Afghanistan, we would have loved you and never attacked you. But this is the stupidity of Bush, I believe, not of all Americans. Q: And what will happen if the Americans leave? Taliban operative: We will sit back and give up our weapons.